A heartland city thrown into terror. But within hours the cops have it solved. A slam-dunk case. Apart from one thing. The accused gunman refuses to talk except for a single phrase: Get Jack Reacher for me. Reacher lives off the grid. He's not looking for trouble. But sometimes trouble looks for him. What could connect the ex-military cop to this psychopathic killer? LEE CHILD is British but moved with his family from Cumbria to the United States to start a new career as an American thriller writer. His first novel, Killing Floor, won the Anthony Award, and his second, Die Trying, won W H Smith's Thumping Good Read Award. He lives just outside New York City, with his American wife, Jane. They have a grown-up daughter, Ruth, and a small dog called Jenny. Lee fills his spare time with music, reading, and the New York Yankees. 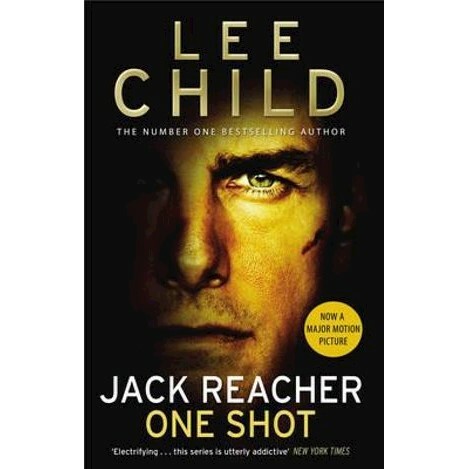 All his thrillers feature Jack Reacher, the former US military cop and maverick drifter, and all have been bestsellers. He likes to travel, for vacations, but especially on promotion tours so he can meet his readers, to whom he is eternally grateful.